BALLYBODEN St. Enda’s advanced to the Leinster club SHC semi-finals tonight in Parnell Park with an extra-time victory in their delayed quarter-final with Clonkill in a match played under the pall of desperate tragedy. Players from both teams stood for an emotional minute's silence before throw-in in memory of Annabel Loughlin (3), who tragically passed away last weekend. 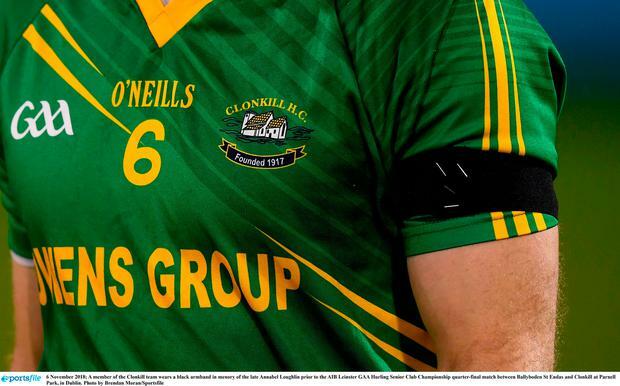 Annabel was the daughter of Clonkill stalwart and former Westmeath hurler Enda Loughlin, with the Leinster club hurling quarter-final postponed from Sunday until Tuesday evening after the news broke. To their eternal credit, Clonkill mustered a gutsy performance to push the favourites to extra time. The previous night, the Westmeath champions' manager, Kevin O'Brien, said his team would "guarantee Enda and his family, that we will respect their wishes and tog out" and stated their intention "to do our utmost to put in a performance everyone can be proud of." After 12 minutes, they were 0-6 to 0-2 up. Their captain Brendan Murtagh led manfully from full-forward while Eoin Price was a constant, sniping threat. Almost inevitably, it took Conal Keaney to settle Ballyboden. After six minutes, he mined his team’s first score. A minute later, Keaney hit a second. Boden's first half goal in the 31st minute – the first time they led in the game – came from Aidan Mellett’s calm seizure of possession from a Clonkill mistake, his direct run at goal and a smart, lateral handpass across the square to Conor McCormack. McCormack fluffed his lines but Niall Ryan, who also scored a brilliant point on the run earlier in the half, was on hand to execute an easy finish to give Joe Fortune's team a 1-9 to 0-10 half time lead. A couple of Paul Ryan frees put 'Boden two points up in the second half but then Clonkill sub Niall Dowdall barged his way down the left flank and squared a pass that Luke Loughlin - cousin of Enda - met first time to equalise. Niall McMorrow scored what seemed certain to be the winner before Murtagh sent us to extra-time with a free in the 64th minute. Therein, Ryan's placed-ball accuracy and a Paul Doherty goal finally broke Clonkill on a night highly charged with emotion. 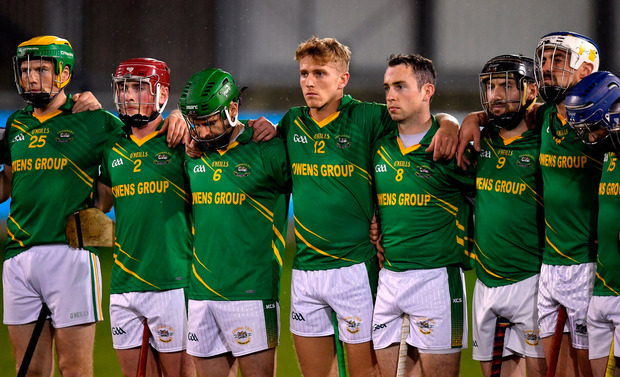 After the match, Clonkill manager Kevin O'Brien said on Twitter: "Very proud to manage a great group of men in the @Clonkillhurling senior team. Sorry we didn't get the job done. Thanks to everyone for their support. I hope we did Enda and his family proud. Best of luck to @Bodengaa. Rest in peace Annabel." BALLYBODEN ST. ENDA’S: C O’Donoghue; D Curran, L Corcoran, J Madden; Durkin, S Lambert, D O’Connor; S O’Connor, F McGarry; C Keaney, C Dooley, N Ryan; A Mellett, C McCormack, P Ryan. Subs: C Basquel for McCormack (44), P Doherty for Dooley (52), N McMorrow for McGarry (52), J Roche for N Ryan (61), N Ryan for Basquel (70), C O’Neill for S O’Connor (72), M Travers for Lambert (82). Donnchadh Boyle Ollie Canning believes his brother Joe is on track to make a comeback for Galway "some time around the end of the Leinster championship" after undergoing a successful operation on a groin problem. Donnchadh Boyle Tipperary great Nicky English believes the Parnell Park pitch is too small to host senior inter-county hurling matches.